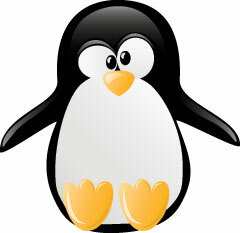 Home > Google News > Google Updates > Google Penguin 1.1 Update Underway? Google Says No. There are some reports of major shuffling going on in the Google search results as of yesterday. I believe from the reports that it may be a Penguin update - but I do not have confirmation from Google on this yet. There are WebmasterWorld threads and if you scan the Google Webmaster Help forums you will see tons of threads about ranking changes in the past 24 hours or so. One of the WebmasterWorld threads has one guy claiming he recovered from being hit by Penguin. He said yesterday, "I had around 30 sites hit by Penguin on the 24/4, yesterday the first one resurfaced back to number 2 for it's keywords which is encouraging." What did I do - the site was just 15 pages, the inner pages were all thin content boiler plate stuff, so I deleted them all to see what would happen and left the home page which is 500 words of original content. Links - did i touch incoming links, no I am going to try anchor text dilution on some other sites where I suspect this problem but did not create any more links on the recovered site. Now, you have to be careful with this recovery reports because who knows if the site was truly hit by Penguin or a weird penalty. They did say his traffic dropped on the 24th which is a good sign of it being Penguin. But there is a huge increase in reports of traffic and ranking drops yesterday on the discussion forums. The question is, is this related to Mother's Day or an algorithm change? I will email Google for a statement on this.